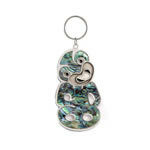 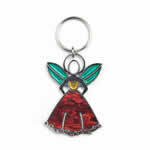 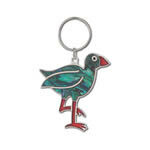 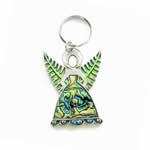 When you think of New Zealand you think Kiwi's, this silver plated key ring is a true icon of New Zealand. 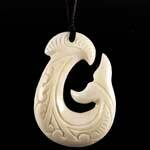 It features the kiwi bird with an egg. 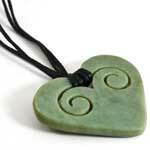 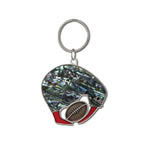 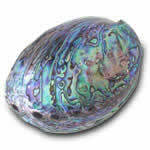 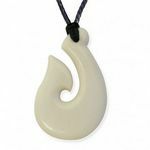 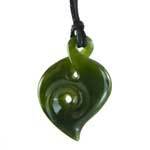 It is fashioned from inlaid paua shell. 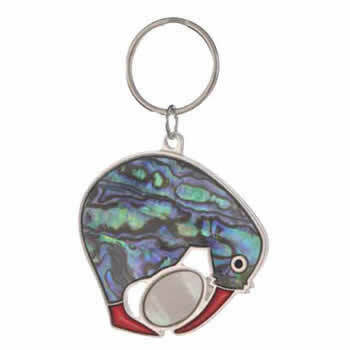 The egg is inlaid with mother of pearl. 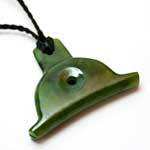 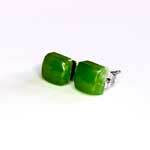 The piece is 50mm (2 inches) tall.